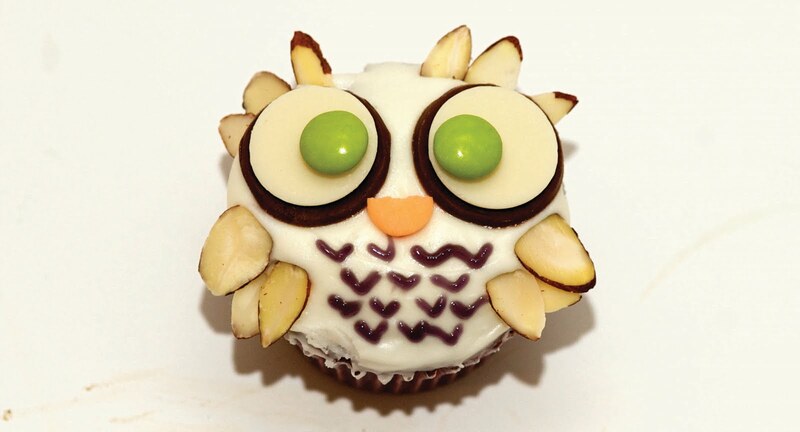 This recipe makes for some VERY cute owl cupcakes! Whooo whooo whoooo's been baking? These owl cupcakes are adorable. I made about 4 dozen of them for a toddler's birthday party. Probably the moms got a bigger kick out of them than most of the kids. It's all the same to me! It's not too hard to make a batch or two . . . but if you'd like to make more than 30, get a kitchen party going so you have some help with the assembly. Read on for the how-to. If you want to learn how to make owl cupcakes, I describe the necessary steps and decorations below. 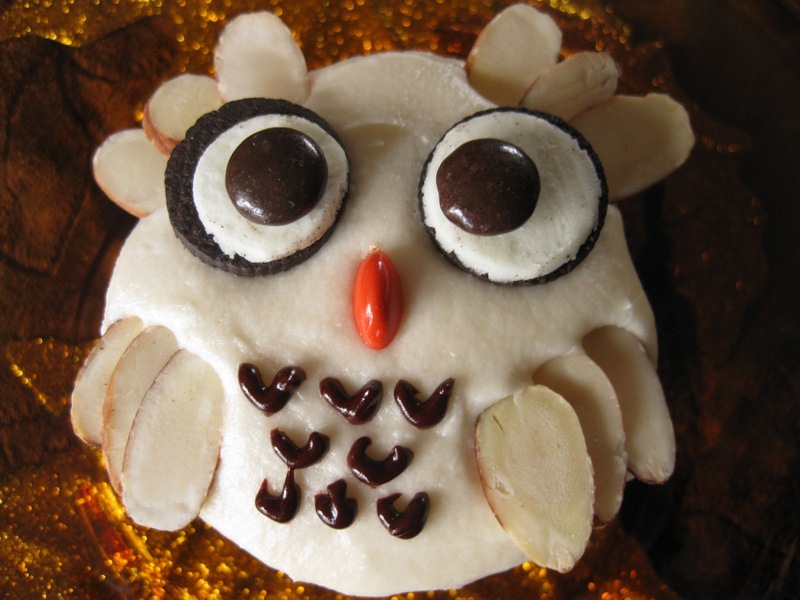 I used an owl cupcake design that I found through a Google search, but made some small changes: I used mini Oreos for the eyes, and the pupils and beak are Reese's Pieces. 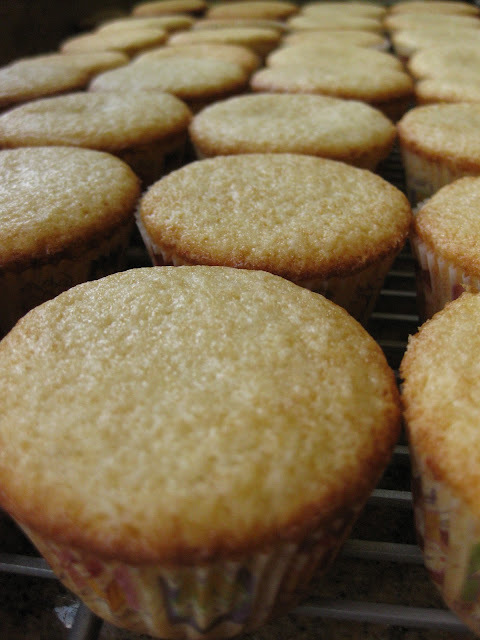 I started with a vanilla cupcake recipe of Magnolia Bakery fame, featured on the blog Cast Sugar. But frankly, it had a strange off-flavor to me. I'd prefer to use a standard vanilla cupcake recipe in the future. Cupcakes in hand, I slathered on some basic vanilla buttercream frosting, followed by the fun part: decorations! It turns out that you don't have to split the candies that make the beak, as long as your frosting is deep enough to bury the lower half in. Decoration materials for owl cupcakes. 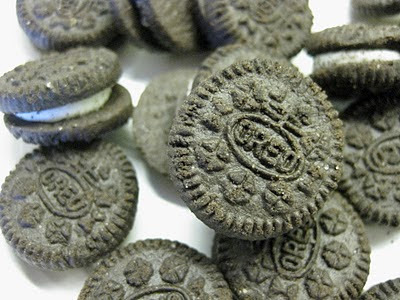 It's pretty tricky to avoid getting Oreo crumbs on the white part of the cookie, though heating the Oreos in the microwave makes it easier to separate the halves. The future eyes of the owl cupcakes! Sliced almonds become feathers for the owl cupcakes. Then, I piped some brown icing to make feathers under the beak. Voilà! I read that you can put the Oreos in the microwave a few seconds so they are easier to separate or you also can use a knife! Thanks for the tip, Stéphanie!